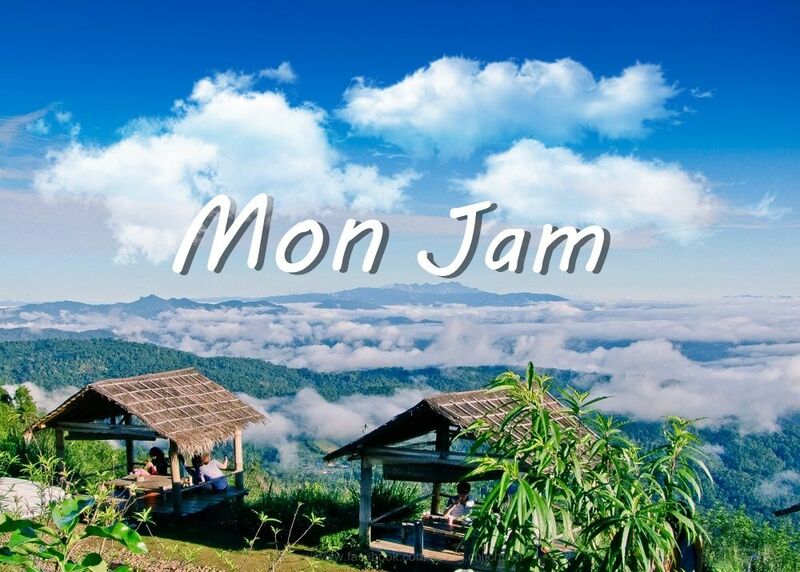 Take you to the Mon jam hill (Mae rim district). You can see an almost 360 degree view of mountains all around you as you wander among the flowers. Enjoy with lunch (Local food). After that, Drink a coffee made from coffee printer (by your photo). Relaxing at Mon jam hill. The gardens at Mon Jam are just gorgeous. You can see an almost 360 degree view of mountains all around you as you wander among the flowers. Funny with the Coffee Printer and drink in the evening. it was peaceful and quiet place. I drank a coffee with seeing beautiful nature down the mountain. not crowded and it was peaceful. the breeze blew so it was cool.